Fantastic all around ski that will for perform for skiers of all abilities. The Blizzard Rustler 10 is part of a fantastic new line of skis from Blizzard that are meant to replace the Peacemaker and Gunsmoke. They were big shoes to fill, but Blizzard managed to do it. The Rustler 10 was only a handful of points shy of the winning the Editors' Choice Award but did earn one of our Top Picks for a soft snow oriented ski. It is a ski that performs best in softer snow but also holds its own when conditions firm up. It has the pop to make it quite playful and easy to transition. A few of our testers preferred the Rustler 10 above all. Because of that, and many other reasons you will read about, we gave it a Top Pick award. Blizzard updated the Rustler 10's graphics and increased the price by $50 since we last tested. The skis now ring in at $700. See the updated graphics in the photo above. Blizzard has been around since the 1940s but has only recently started to become one of our go-to companies when picking great skis to review. They're known for producing hard-charging skis that love to go fast and have recently been creating skis that are more multidimensional. The Blizzard Rustler 10 is an excellent example of the progress Blizzard has made in making a tremendous all-mountain ski that is suitable for most skill levels. We tested the Rustler 10 in a 188cm length. That may sound long, but our testers (even the short ones) found the Rustlers to ski short. By that, we mean that although Blizzard claims they are 188cm in length, the rocker profile makes the ski feel as if its a 182cm. The 188cm has a 104mm waist, while the shorter 180cm comes in at 102mm at the waist. The different dimensions and lengths of the ski don't affect its performance much but could be important to know if you're considering buying a pair. The Rustler 10 is a fantastic ski that every (yes EVERY) one of our testers raved about. It is true that the skis are more fun in soft snow, but we're confident you'll have just as much, if not more, fun when conditions firm up. The final scores from our tested categories place this ski very close to our top performers and even earn it a Top Pick award. Minimal chatter on these Rustler 10s. Stability at speed is the Rustler 10s worst category, but it still put up a very respectable score. That should tell you something about the all-around abilities of these skis. The main critique our testers had of the Rustlers was that they couldn't open it up with as much confidence as, say, on the Volkl M5 Mantra, the Black Crows Daemon, or even the Rossignol Experience 88 TI, and that confidence decreased as the snow began to firm up. All that aside, the Rustler can still perform at speed, and blew away similar competition like the Rossignol Soul 7 HD in this category. The ski excels more at short and quick turns, but some of the elements of its construction helped it earn the relatively high score. First, it has a partial titanal layer, similar to the Black Crows Daemon, which keeps chatter down, and the poplar/beech core dampens much of the vibration from snow variations. Having a little more length than most of the other skis we tested also helped increase the stability as we pushed it to its limit. Don't be deterred by this single category, even if you ski mostly firm snow, as the Rustler consistently continued to impress us. Carving on the Rustlers is a blast. Don't shy away from laying this ski over just because it is 104mm underfoot. It is so quick in its edge to edge transition while carving, you'll forget you're on a mid-fat ski. The Rustlers are an absolute blast to carve, and despite the 19m turn radius, you'll be carving quick sharp turns like you're on your favorite race skis. Again, some skis like the Nordica Enforcer 93 and the K2 Pinnacle 88 TI scored higher in this category, but not by much. The edge hold from the Rustlers is fantastic, and the pop when transitioning between edges gives the ski an incredibly quick and light feel. This ski WANTS to turn and is much more responsive than the Icelantic Pioneer. The relatively stiffer tails also power that is felt when in a deep carve on the Rustlers. Overall, the carving performance of these skis is fantastic and shined on fresh soft groomers. Crud at Kirkwood on the Rustlers. The Rustlers were most surprising in this category. After feeling the relatively soft flex in the tips and noticing quite a bit of rocker up front, most of our testers predicted that the tips would deflect off the crud and generate lots of chatter like the Rossignol Soul 7 HD. We were stoked to be proven wrong! Although you may have to ski a bit more aggressively on the Rustlers compared to the M5s to make it through the crud, all of our testers found it easy to keep the ski on track with a little bit of work. Though it takes less effort than the Line Sick Days. The titanal layer, again, dampens the vibrations enough that your teeth and knees will be thanking you for buying the Rustler 10s. This is the Rustlers best category by far. Once you get onto some soft fresh snow, it is easy to tell what Blizzard had in mind when designing this ski. At 104mm underfoot and 135mm in the tip, this ski has plenty of float, even on those days where you end up finding the white room. The width of these skis makes them much more desirable in soft snow than it's skinnier competitors like the Nordica Enforcer 93. The dimensions of this ski are similar to the Rossignol Soul 7 HD, and they performed just as well on powder days. You'll appreciate the longer-feeling tip rocker when you drop into your favorite powder stash, and the ultimately forgiving nature of the Rustler will keep you feeling like a hero all day long. The overall poppy feel of this ski will have you bouncing between turns like a snowshoe hare. Blizzard's Carbon Flipcore D.R.T. claims to make the ski less demanding in the soft snow because of a decrease in torsional rigidity. Our testers found this to be true, and we translate that into layman's terms by saying the tip of the ski is allowed to flex side to side, which in turn creates a feeling of nimbleness while turning in soft snow. The Rustler 10 was made for this category, and you should be reaching for this ski any time your local hill gets a delivery from mother nature. The Rustlers are just as playful as the Head Kore 93. They have just the right mix of pop, flex profile, and forgiveness that translates into a super playful ski that makes every hit and drop more fun than the next. They blew away a ski from the same company, the Blizzard Bonafide. The pop we've seen from these skis in other categories is most evident when taking these skis into the air, and it reminds us of the pop we feel with the Moment PB&J. The soft tip is very forgiving on the takeoff and landing, while the tail, which is slightly stiffer, allows for the perfect amount of give on your landing. Although none of the skis we tested are true park skis, the Rustlers may give your skinny twin tips a run for their money. The soft and flexible Rustlers are excellent in most bumps. Bumps are yet another category where the Rustler 10s standout. Their soft flex and overall forgiving nature come into play again and make navigating moguls a blast. If you happen to get in the back seat, the ski will give you a fighting chance to get forward, unlike the Rossignol Experience 88 TI. The only genuinely noticeable flaw in the Rustler is the length we tested them in. Despite being relatively light, at 188cm, they were a bit too long for steep, tight bumps. If you enjoy skiing bumps, you could sacrifice some stability for better bump ski by purchasing the 180cm Rustler. Whatever length you end up buying, we're sure you'll end up searching out that perfect bump line each time you take them out. The Rustler 10s stand out the most when the snow is the softest. It is obvious that Blizzard set out to make a ski that favors the soft, but they also managed to keep a high level of performance in firmer conditions. Pick these for your resort pow days and feel confident you'll have fun no matter what you run in to on the ride back to the chair. Exploring the terrain at Kirkwood is super fun on the Rustlers. At $700, the Rustlers are an extraordinary ski at an average price. This ski is in high demand, so you won't likely be seeing any big sales on them. Don't worry, the Rustler 10s are worth every penny. The Rustler 10 is an amazing all mountain ski that is very user-friendly. It is light and soft enough to swing around in the air or between bumps. The skis pop off side hits and out of a hard carve with tons of energy. It can feel a bit unstable at the highest of speeds but generally holds together well, even in poor conditions. Our testers fell in love with the Rustlers, and we often found ourselves arguing over whose turn it was to ride them! Don't let these skis tear your crew apart — go ahead and buy a pair for each of you. Amazon $524.99 - 25% off! 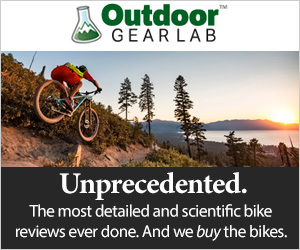 REI $559.93 - 20% off! MooseJaw $559.99 - 20% off!